Buying a used cell phone is often a better choice than buying a new cell phone. 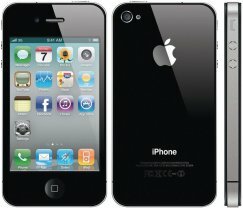 We have all of the old and pre-owned cell phones that you could ever want for any carrier. We even have a large selection of Android smartphones and unlocked phones with no contract. With prices from $19.99 to $154.99, you can't go wrong buying a phone or new accessory from Cellular Country. We have the largest selection of Refurbished Smartphones deals online, including the big auction and shopping sites. You can browse our Refurbished Smartphones products and select the cell phone that fits your budget and lifestyle. We have many convenient shipping options, from affordable USPS shipping to expedited Fedex next day air shipping, so you can choose when your next cell phone will arrive at your home. We have the largest, cheapest selection of discounted cell phones and accessories. We're positive that you won't need to go anywhere else for all of your cell phone needs and want to be your one stop shop for everything cellular. Give us a call or just browse our site to find exactly what you're looking for. Happy shopping!